Jon Hassler is a deceptively simple writer. One can read his stories as quaint tales of a forgotten time, but just as you settle in he quietly drops in a plot twist or unexpected story. His novel, Staggerford, is an excellent introduction to his uncanny ability to create character driven stories with plot driven diversions. The book, Keepsakes and Other Stories, shows his range of interests and writing talents. The book itself is interested, being published in 1999 by the Afton Historical Society Press, a non-profit publisher focusing on work centered in Minnesota, where all these stories take place. 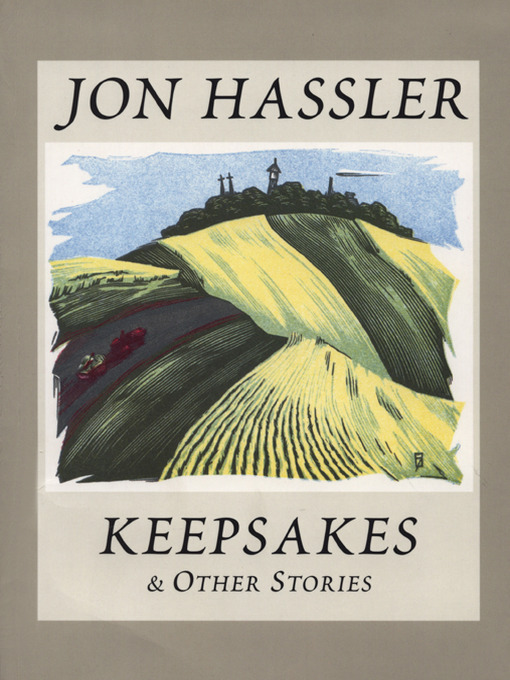 It was Hassler’s first collection of short stories, and contains works he wrote prior to his breakthrough as a novelist in 1977 (with Staggerford). The book is beautifully laid out with small illustrations in the opening paragraphs, and generous space for the text — not a cheap, trade book with words tucked into the fold. The seven tales, although early in his career, point to themes developed in his novels. There are the rural Minnesota settings, the realistic, yet positive role of the Catholic Church (Hassler was a devout Catholic), and when you least expect it, some cold-blooded murder. The murder comes from “Yesterday’s Garbage,” the strongest story in the collection. Here we meet a garbage collector, and his wife who likes to read letters left in the garbage, as they find themselves in possession of some unusual knowledge. If you’ve been lulled into complacency by Hassler’s other stories in the collection, his truly horrendous description of a murder in this story will have you rethinking the author’s take on life. He later turned this story into part of his play, The Staggerford Murders. But Hassler is equally captivating his description of a forgotten rural time. His stories are no “Thomas Kinkade” paintings with words. Instead, Hassler shows the simple rural life of 50 years ago contains people who are like many of us, but also includes those whose simple life offer a generous view of humanity. The title story, “Keepsakes,” along with its companion “Resident Priest,” paint that glow of rural warmth, but goes deeper as the simple veneer of people break away to reveal complex individuals. Spending time with Hassler in all these stories, you realize he too is far more complex than any single story will show. I would still point a first time reader to Staggerford for an introduction, but fans should definitely find their way to this collection. This entry was posted in Short Stories by derekemerson. Bookmark the permalink.